Mr.Christopher Jin Jie Chan from U.K., has successfully completed IRCMS internship program. 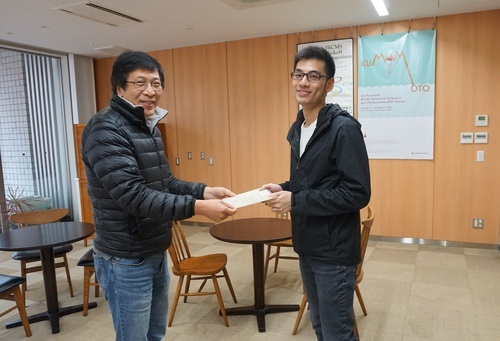 He stayed IRCMS for 4 weeks and did research activities under the supervision of Prof.Guojun Sheng. Congratulations and we look forward to his future success!